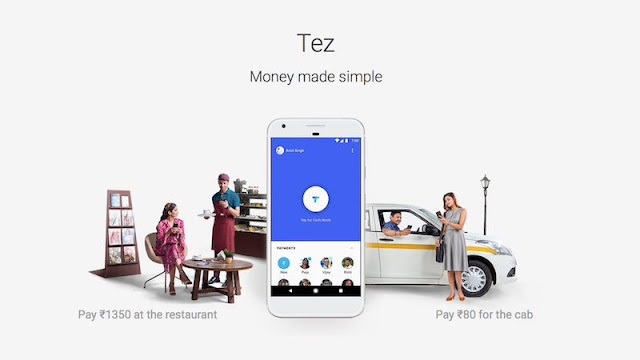 TEZ Mobile Payments App: The Google has officially launched Tez, its latest payments app in India. It uses UPI (Unified Payments Interface) and works with all major banks and Google also has Axis, HDFC Bank, ICICI and State Bank of India as partners. You can pay directly from your bank account, so you don’t need to open a separate account recharge wallets. It has several offers such as Scratch Cards offer, Lucky Sundays Lucky Draw Offer and referral rewards for users. It also has new Cash Mode that lets you instantly send or receive payments to anyone nearby without sharing personal details like phone number or bank account. This uses audio pairing to help you connect with nearby users. You also scan a QR code to send money. Google has partnered with Lava, Micromax, Nokia and Panasonic for distribution. There is also Tez for Business that lets you accept payments up to Rs. 50,000 per month for your business with UPI with no fees. Beyond that, your bank might charge fees or add more requirements, says Google. Transfer directly to your bank account. Link your account to Tez over UPI and instantly transfer money from bank to bank. Tez Shield works 24/7 to help detect fraud, prevent hacking, and verify your identity. Each transaction is secured with your UPI PIN and the app is secured with a Google PIN or fingerprint. Tez works with all major Indian banks and with a vast majority of smartphones. Offers language support for English, Hindi, Bengali, Gujarati, Kannada, Marathi, Tamil, and Telugu. Tez’s Cash Mode lets you instantly send or receive payments to anyone nearby without sharing personal details like your phone number or bank account. Get Tez Scratch Cards in the app and be eligible to win up to Rs. 1,000 with each eligible transaction. Plus, your weekly transactions enroll you in Tez’s Lucky Sundays contest where you could win Rs. 1 lakh every week. If you win, your rewards go straight into your bank account.